Designed by Geoffrey Bawa, Sri Lanka's famous architect, the Heritance Kandalama is an extraordinary jungle palace. Draped in vines and disguised as part of its tropical surroundings, the buildings attract local wildlife, including monkeys that are known the swing from the balconies. The resort is located in close proximity to five UNESCO World Heritage Sites, overlooking the eighth wonder of the world. You are spoilt for choice with the 2000-year-old cave temple at Dambulla, Anuradhapura, Polonnaruwa, Minneriya wildlife sanctuary and the Sigiriya Rock Fortress on your doorstep. The hotel organises a variety of excursions so that you can explore Sri Lanka's wildlife, culture and heritage. 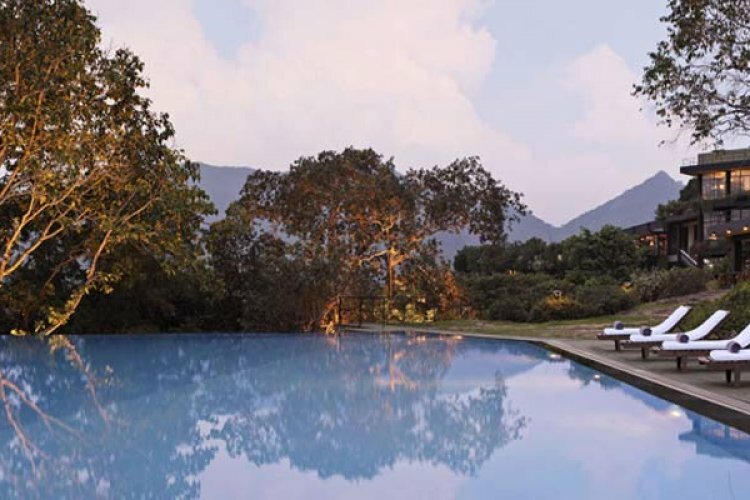 From the resort's sensational infinity pool you can gaze across Kandalama Lake, over to Sigiriya rock fortress. The spa offers a variety of treatments, using indigenous herbs, exotic oils and tropical fruits to ensure complete rejuvenation. For a blissful pampering experience choose a scrub, wrap, or a Swedish, Asian, aromatherapy or Ayurvedic traditional massage before trying out the steam room and sauna. Yoga sessions and wellness journeys are also available. The Heritance Kandalama boasts its own gym and state-of-the-art conference facilities, each with awe-inspiring view of Kandalama Lake. For children, there is a fantastic playground area and babysitting service. 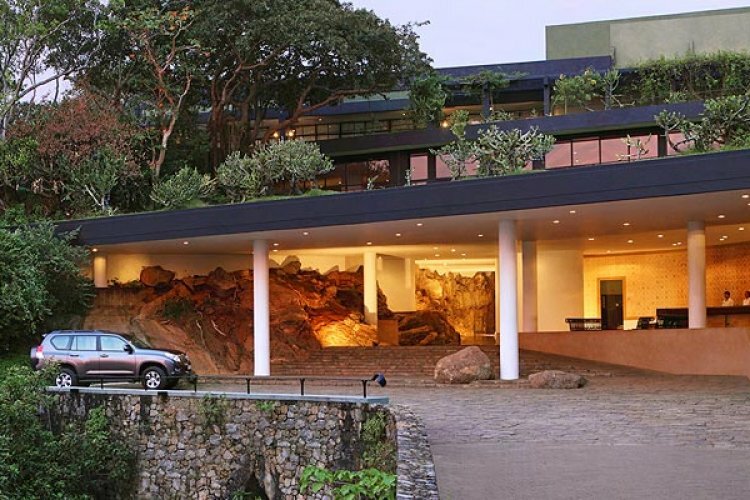 Rooms and suites line the cliff, immersed in luscious plants, becoming a natural feature of the mountainside. 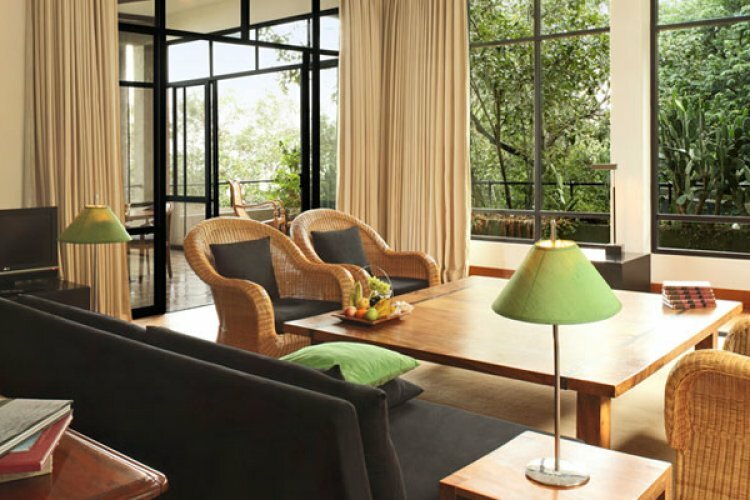 All feature a private balcony, overlooking Kandalama Lake and the flourishing forest. Decorated in a contemporary style, rooms are complete deluxe amenities and fine luxuries. Upgrade to a royal suite for a seamless, serene stay with a dedicated personal butler service. Kanchana restaurant is the Heritance Kandalama's main buffet-style restaurant, where you can sample authentic Sri Lankan dishes or a range of international cuisines. 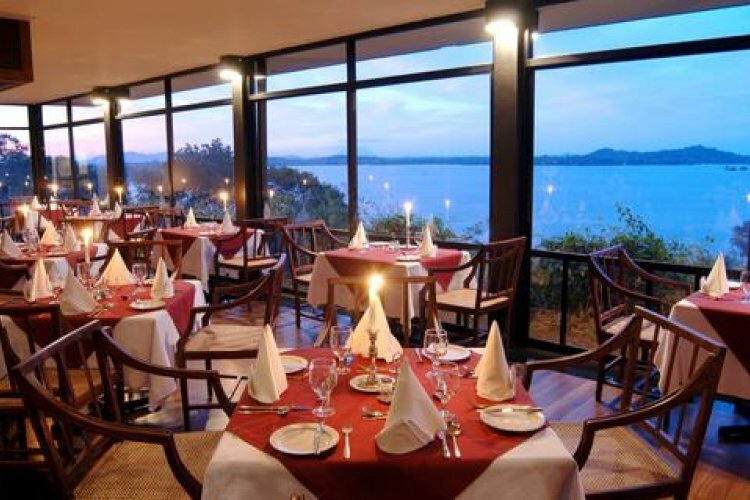 If it is fine dining that you desire, Kaludiya Fusion room offers a global a la carte dinner menu. The Heritance cuisine experience is unmissable. Choose an incredible location, such as a cave or a barge, and enjoy an intimate, once-in-a-lifetime dining experience. Kachchan cafe and Kachchan bar are always open for a relaxing and refreshing beverage. Kickstart your unforgettable, Sri Lankan adventure at this breath-taking resort.